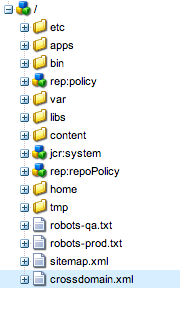 Some time you want to implement robots.txt or any web related configuration in CQ. 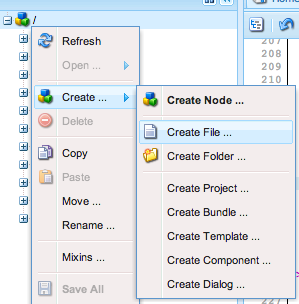 1) Go to CRXDE or CRXDE light, Or you can directly put them in your CVS under jcr_root folder. 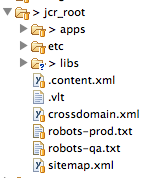 You can create different version of robots.txt based environment and domain name. You might have to do some tuning on dispatcher for make this work. Feel free to ask any question. Use Case: We often have situation where static files are changed during deployment and if static files are cached on user browser then styles are all messed up for some time. ExpiresByType text/css "access plus 1 hour"
ExpiresByType application/octet-stream "access plus 1 week"
And then you have to add this in rewrite pipeline. 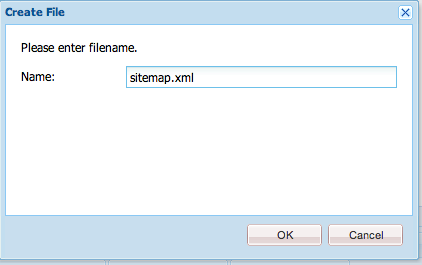 You can dynamically update version number to get fresh static file. Note: Please test before use. 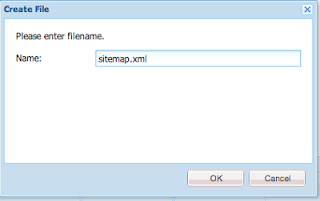 You might have to write additional rules to avoid rewriting of custom static files. Special Thanks to Appaji Bandaru for code. Also check https://github.com/Adobe-Consulting-Services/acs-aem-commons/blob/master/bundle/src/main/java/com/adobe/acs/commons/rewriter/impl/VersionedClientlibsTransformerFactory.java which creates version based on last modified date. You want to disable replication agent without going to console. Please test it before use.